Successful athletes need well-considered tax planning. This is especially so for athletes who compete internationally, as doing so can add layers of complexity to their tax liabilities. This article offers a high level examination of the UK’s approach to taxing sports stars. It looks at the position of both athletes who are “resident” in the UK, and those that are just visiting temporarily to compete. The UK tax system is based on the principles of “residence” and “source”. In simple terms, if you are “resident” in the UK then you are subject to tax in the UK; however if you are not resident in the UK then you can still be taxed in the UK if you have a “source” of income that is generated within the UK which isn’t relieved by the terms of an applicable double tax treaty. This means that you can still be subject to UK taxes even if you don’t usually live in the UK; a point that is particular relevant for internationally mobile athletes. Whether an athlete is resident in the UK for tax purposes can be determined as a matter of fact. Since April 2013, UK’s approach to taxing sports stars has been clarified by enacting a “Statutory Residence Test” (the “SRT”) to determine an individual’s residence status. The SRT is applied on a year-by-year basis based on an individual’s specific facts and circumstances. A person can be “automatically UK resident” if they spend more than 183 days in the UK in any one tax year, but they may also be UK resident if they have a home in the UK and no home overseas or if they work sufficient time in the UK without significant breaks . Conversely a person can be considered to be “automatically non resident” by application of the SRT. Generally this will be the case if the individual has either been non-resident for the past three tax years and spend less than 16 days in the UK in the tax year, or if they have been resident in the UK for one of the previous three tax years but spend less than 46 days in the UK in the year . In addition, they will be automatically non resident if a person works sufficient time outside of the UK in the year . However, there are often circumstances where internationally mobile individuals, such as international athletes, will not be considered to be either “automatically UK resident” or “automatically non resident” when applying the SRT. These individuals will need to carefully examine the number of days they spend in the UK during the tax year and the number of connections or “ties” that they have to the UK. Applying the legislation is not always straightforward and often the SRT can only be applied after the relevant tax year has already ended. This can create uncertainties as to whether an athlete should be considered to be resident or non resident in the UK for any particular year; however, the onus is on individual athletes to ensure that their UK tax affairs are correctly assessed. For example, a British athlete may have lived in the UK all of his life before being offered an opportunity to train and compete overseas. The athlete may have a young family who stay in the UK for most of the year and will continue to use their home to retain some continuity. In this situation, the athlete could have 3 ties to UK, meaning they could only spend up to 45 days in the UK before they are considered to be UK tax resident. It is sensible for athletes to plan their timetables in order to ensure that they know their likely residence position for the year in advance; however if, for example, the athlete is injured in March and travels home to be with their family, then the extra days in the UK could man they exceed 45 for the year and become UK tax resident as a consequence. This would result in the athlete being taxed as a UK resident, rather than as a non-resident. The different taxing regimes for these two categories are outlined below. 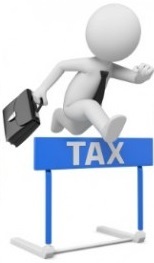 UK tax resident athletes will generally be subject to UK tax on their worldwide earnings. In other words, a UK tax resident athlete is subject to UK taxes on any income and capital gains generated in the tax year, irrespective of where in the world the income or gains arose . For example, an English footballer playing in the Premier League will be employed by their club and paid an annual salary for playing for the club. Their salary will be taxed in the UK in full at the appropriate marginal rate of income tax for the individual (up to 45%), with National Insurance being payable in addition. They may have used some of their earnings to buy a rental property outside of the UK, which they rent out to derive additional income. The rental income (after deduction of allowable expenses) will also be subject to UK tax with a credit for foreign tax paid. The exception to this rule is where an athlete is considered to be a “foreign domiciled individual” (a “non-dom”). A non-dom is, broadly speaking, an individual of foreign heritage whose parents were born and raised outside of the UK. A non-dom moving to the UK can retain their domicile status, irrespective of how much time they spend in or out of the UK in any particular year, as long as they don’t form the intention to permanently settle in the UK. UK resident non-dom’s are able to elect to pay UK taxes on the so-called “remittance basis” . Essentially this means that the athlete will pay UK taxes in full on any income or capital gains earned in the UK; however any non-UK income or gains can avoid a charge to UK tax as long as these monies are not remitted to, brought back or enjoyed the UK in one form or another. The UK’s approach to taxing sports stars who are non-dom is clearly seen in football. According to the website myfootballfacts.com a total of 1,933 foreign players played in the Premier League from 1992-93 season through to the end of the 2015-16 season . Most of these athletes are likely to be considered to be non-doms for UK tax purposes. Each of these players would be paid directly by their employer, the respective Premier League club, and full UK tax would be due on that salary. However, if those players earned monies from sources (or activities) outside of the UK, then they could legitimately avoid paying UK taxes by electing for the “remittance basis” rules to apply. Many international athletes, whether they are originally from the UK or elsewhere, will perform in the UK and will not usually spend sufficient time in the UK to be considered UK tax resident. Instead, they will visit the UK to participate in certain events, which could range from “one off’s” such as the Olympics, annual events such as the Wimbledon Tennis Championships, or various athletics meetings or golf tournaments throughout the year. Most of these individuals will spend fewer than 46 days in the UK during a given tax year and consequentially would be considered to be tax resident outside the UK . However, the UK’s “source basis” of taxation will still apply to these individuals. Consequently foreign athletes appearing in the UK can still incur significant tax liabilities even though they are not UK resident, due to the UK’s approach to taxing sports stars. Broadly speaking, UK tax legislation imposes an income tax charge on foreign sportsmen and women if their income relates to a “relevant activity” performed in the UK. A relevant activity for an athlete primarily will include participating in a sporting event and so any earnings that relate to such participation will be taxable in the UK. Many double tax treaties give the taxing rights for such income to the country of source. However, the UK tax legislation defines a relevant activity for non-resident sportsmen as being wider than simple appearance fees, performance fees and prize money. The definition includes promotional, endorsement and sponsorship activities carried out as part of the sporting performance , which may not normally be considered to derive from a UK source. Consequently, athletes can be subject to UK tax on a proportion of their general endorsement and sponsorship income as well as their prize winnings. By way of example, say Rafael Nadal competed in 10 Tennis tournaments each year, one being Wimbledon and the other 9 being overseas tournaments. Rafael would be required to pay UK income tax on his prize money from Wimbledon and any appearance fees he was paid whilst he was in the UK. In addition, he would also be required to pay UK tax on a proportion of his overall sponsorship and endorsement income during the year to the extent that it related to Rafael Nadal as a tennis player in general, rather than being sponsorship for a specific (non-UK) tournament. HMRC guidance suggests that an acceptable proportion of Rafael Nadal’s sponsorship and endorsements income would be 1/10th, being the number of UK performance days as a fraction of the total performance days in the year. To put this into context, at Wimbledon 2016 a total prize money of £28.1m is on offer, with the sum of £2m being paid to the winner of both the men’s and women’s singles titles and “second round losers” in both draws receiving £50,000. Therefore, even if an individual loses in the second round, they are still earning enough in the UK from that performance alone to be considered a “40% taxpayer” . A proportion of any worldwide sponsorship and endorsement income could also become liable to a UK tax charge of at least 40%. The athlete may also be subject to income tax in the country where they live. In some cases, the athlete’s country of residence may have a Double Tax Treaty with the UK, allowing the athlete to reduce any local taxes by the amount of UK tax paid. However, if there is no Double Tax Treaty between the UK and their home country, the athlete may then incur double taxation on the income. As an example, if the Brazilian tennis player Bruno Soares (currently the doubles partner of Jamie Murray) won the Gentlemen’s Doubles title at Wimbledon, he would earn prize money of £175,000. He will be liable to pay UK income tax on that amount at a rate of up to 45%. Assuming Bruno Soares is tax resident in Brazil, he will also be subject to Brazilian income tax; however in the absence of any Double Tax Treaty he will be unable to reduce his Brazilian tax to account for the tax already paid in the UK. Consequently, unless Brazil’s domestic law gives unilateral relief then Bruno Soares could be paying tax in two countries, effectively suffering “double taxation” on the same income. Conversely, if the Australian golfer Jason Day wins “The Open” at Royal Troon, he will reportedly earn prize money of £1.175m . He will be liable to pay UK income tax on that amount at marginal rates of up to 45%. Assuming Jason Day is also tax resident in Australia, he will ordinarily be liable to Australian tax at similar rates; however, Article 22 of the UK-Australia Double Tax Treaty allows any UK tax paid in relation to this prize money to be deducted from any Australian taxes payable on that prize money. There are other additional complications for non-resident athletes to adhere to, which include certain payment and filing requirements in accordance with the UK’s compliance legislation. This can require non-UK resident athletes to file annual tax returns and the deduction of an estimated UK tax liability; however an alternative for the non-UK resident athlete would be to apply to HMRC for an “advanced clearance” to obtain their advanced agreement on the athlete’s tax position. In any case, athletes will need to have tax advisers in multiple jurisdictions to ensure that their affairs are managed correctly and their tax exposure is effectively minimised. This is especially relevant in the context of the recent Brexit vote, which could result in athletes losing the EU freedom of movement protection when competing in the UK. If the UK no longer needs to adhere to the EU freedoms, it would be free to apply potentially restricting tax rules on EU based athletes competing in the UK. Plan your schedule carefully. This should include all aspects of an athlete’s life, to include training and personal time as well as their performance schedules. For non-resident athletes this is a must, and could be the difference between being taxed in the UK as a non-resident or becoming UK resident for tax purposes. Be well advised. An athlete’s advisers perform a very important role if they have the right experience. It is important for any individual to be able to trust a close adviser and so the natural reaction may be to rely on the guidance of a close friend or relative. However, there is no substitution for professional advisers who have experience in their respective fields, whether that be in law, tax or in other sports specific areas such as nutrition and have an understanding of the UK’s approach to taxing sports stars. Take responsibility. The onus is on the athlete to ensure that they comply with their UK tax obligations. The UK tax authorities take a dim view towards taxpayers who claim they left their tax affairs in the hands of an adviser. Advisers are employed to provide advice, but athletes should familiarise themselves with their tax affairs in order to demonstrate that they have not been negligent in handing that responsibility over to someone else. This doesn’t mean you need to be an expert, but you should be able to demonstrate that you are aware of your overall financial and tax position. Click here to view the article on the Law In Sports website. PreviousPrevious post:Could there be a silver lining for non-doms in the aftermath of Brexit?NextNext post:Tax avoidance crackdown – Mark Davies joins the debate in City A.M.